Phenibut is also known as Noofen or Citrocard. It was developed is Russia at the USSR Academy of Medical Science to help people that are suffering from a high amount of stress. This supplement is supposed to help lower stress levels without affecting the way that a person functions. This will allow a person to have a good feeling for once. They will be able to see a decrease in depression as well. Some people use this supplement to handle pain. When they take phenibut their muscles will relax and they will finally be able to get some relief. 1 How does Phenibut Work? 2 Why do People Take Phenibut? There are chemicals in Phenibut that are similar to a neurotransmitter that is called GABA. This is a chemicals that is found in the brain that is linked to certain receptors. When a person takes phenibut they can unlock these receptors and will allow a person to have higher doses in their body. This will allow a person to relax and will reduce the stress that they within the body. This is taken for clinical use to help a person that is suffering from anxiety. People also use this to treat insomnia. There have been some other medical uses as well including depression, alcohol withdraw symptoms, and post-traumatic stress disorder. The brain will think that they are receiving signals from the body. There are even some other conditions that a person can use phenibut to treat. They can use this for social anxiety and they can also help to use it with pain. People take phenibut to help them deal with stress and anxiety in their life. This is an oral supplement and it is easy to take. People take this medication to help with anxiety attacks as well. Some people can use it to treat anxiety attacks as they are happening or they can help use it to reduce the amount of anxiety that they are feeling. If a person knows they have anxiety they can take this medication to prevent the levels of anxiety they are feeling in their life. People that are under stress also take this medication to reduce the amount of stress that they are feeling. They are looking for additional treatment to help them deal with their depression and other conditions. People want to be able to function in society without anxiety. They need to be able to function at work and in their social life. This will allow a person to function normally. In addition to using phenibut to control stress so people use it with kratom to further reduce the stress in their body and give them an almost euphoric effect. When a person takes them in a combination they will be able to forget their worries about will be able to function on a given task. They will not have to worry about stress and will be able to enjoy being in a good mood. Taking these two things together will allow the effects to last for a longer period of time. There will be a high sedating effect and there will be no anxiety that a person feels. This combination is generally safe to use and will allow a person to enjoy a good feeling. They will finally be able to be free from stress and their feeling of depression. When mixing phenibut and kratom a person will be able to have a feeling of being relaxed, happy, and will allow a person to be more social. While individuals results will vary it is recommended to mix 1000 mg of the phenibut with 3 to 4 mg of kratom. When a person mixes this they will see an increase in self confidence. To mix a person will put the phenibut and the kratom in a water bottle. They can then add water or even orange juice to cover the taste and drink it in this manner. The effects will take place right away and a person can enjoy the feeling for three to four hours. When a person is taking these two things together, they will get a very relaxed feeling and will not have to worry about feeling anxiety. There are different doses that a person can take based on their tolerance. If a person is beginning to take this, they should start on the low dose. If a person is taking a high dose, they will have a very relaxed feeling. A high dose means that a person will take 2500 mg of phenibut and they will take it with 4.5 grams of kratom. This will allow a person to be in a very sedated state and in some cases a person will go right to sleep. A person should use caution when they are taking such high doses of these two items together. The medium dose is something that most people take because it will give them a nice feeling of sedation without being overwhelmed. The medium dose will mean that person will take between 500 and 1500 mg of phenibut. A person will have an effect that is both soothing and calming. They will forget what is bothering them and will be able to remove the stress they are feeling in their life. They can also take this with a moderate dose of kratom. A moderate dose is around 3mg of this kratom. A person will be able to feel sedated but they will still be in control. When mixing it with phenibut they will be able to enjoy this feeling for a longer period of time. A person can also take a low dose of these items so they can get a euphoric feeling, but they will be in total control. This will help a person relax and they will have a helpful and pleasant attitude. A small dose of Phenibut is 500 mg or below. In addition to this amount, they will use 1 or 2 grams of kratom. It will create a feeling of analgesic and mild euphoria. Some strains of kratom will go well with kratom. They will create a euphoric feeling, and a person will feel great and will not have to worry about the stress in their life. Maeng Da is one of the best forms of kratom to use for an euphoric feeling. This will take the feeling of relaxation to the next level. A person will take around 1 gram of phenibut with around 5 grams of the Maeng Da. This will allow a person to relax completely and they will be more alert and focused as well. They will not have to worry about being bothered with stress. A person will also notice that this will work as a mood booster. It will help calm nerves and will also relax the muscles. Red kratom can help a person feel sedated and is said to help relieve pain in the body. When taking with phenibut it will have a calming effect on the body and will help reduce the feeling of stress and anxiety as well. 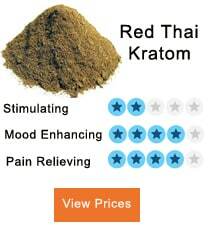 Red kratom is taken in a dose of around 6 grams mixed with 1 gram of phenibut. This will help a person relax. People that use this combination often suffer from anxiety disorder as well as post-traumatic stress disorder. This will allow a person the chance to relax and be calm. This combination is also designed for people that are suffering from anxiety. People that have anxiety can take Green Malay to relax. They will take around 5 grams of the green Malay with approximately 1 gram of phenibut. This will promote a feeling of relaxation and can be used by people that have a lot of stress in their life. When a person is taking phenibut with kratom is suggested that they take it at the moderate level. This will allow a person to get rid of the feelings of stress and anxiety without taking too much and have a feeling of being too high. In order to reach a calming effect a person can take between 2 and 4.5 grams of kratom as well as 500 mg to 1,500 mg of phenibut. This will vary based on usage and body weight but this is the recommended amount that is suggested to help a person relax and reduce the feelings of stress. When a person takes phenibut with kratom there are some feelings that they can expect to experience. If a person is in pain they will be able to relax their muscles and the feelings of pain will be much less intense. A person can also expect to have an euphoric feeling. The entire body will have a soothing effect and they will be able to handle any feelings of anxiety or stress that has been bothering them. A person will have a feeling of calmness and they will be in a better mood. Some people are also more social and they will be able to interact with others in a positive manner. When you are mixing kratom with phenibut there are some things that are going to be needed. This combination is not exactly known for the great taste so it is important to use water or a form of juice to help take this combination. In order to see the full effects it should be taken on an empty stomach. 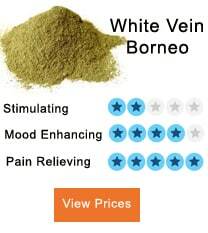 It is recommended to mix 1,000 mg of phenibut and 3 to 4 grams of kratom. They can be out into the liquid and then consumed. The effects will last for three to four hours. This will allow a person to have a calming effect. This combination is easy to mix and can be used the morning to feel the effects all day. While it is generally safe to mix phenibut and kratom it is not recommended to take both in high doses together. This can lead to tolerance of the combination. If a person takes them at a moderate or low levels they are generally safe to use. Phenibut should not be used on a daily basis even if it is mixed with kratom. If a person suddenly stops taking the phenibut they may experience withdraw symptoms. A person may also experience minor side effects including dizziness and nausea. It is safe when a person is taking the correct dosage, taking this combination on an empty stomach, they have something to drink with it such as water, and they should not take either more than three times per week. A person should not take this combination for all 7 days during the week. They can take it three times a week in order to stay healthy and to avoid addiction. When a person is using this combination they need to take two or three day off during the week in order to avoid addiction. They can use this combination for a period of two weeks and they will have to stop using it for a period of two weeks. After this time they can use it again for the two week cycles. The tolerance will increase with use so it is important that a person take some time off. This will help decrease the dependence on this product and a person will be able to enjoy the experience. Once again a person should not use this combination straight. They should not take the high level either and should start at the medium level. A person can use this product a couple of days a week for a two week period and then take a break for two week. They can resume this cycle in order to decrease dependence. 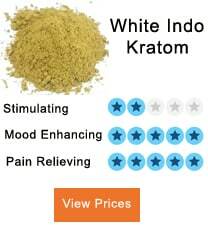 This will help decrease the tolerance to the kratom and the phenibut. A person may experience withdraw symptoms if they use it too often so they need to be careful with the dosage and the frequency. This combination can help a person that is suffering from depression. It will help a person improve their mood and will allow a person to feel good. They will be able to relax and let go of any feeling of depression or anxiety that a person is feeling. When a person uses this combination they will be able be social and will be in an improve mood. They will actually enjoy being around people and will become more social. When a person uses phenibut and kratom they will see an increase in their feeling of being euphoric. They will be able to decrease the feeling of depression that they may have and they will even be able to handle their social anxiety. They will have a feeling of euphoria and will be able to see a decrease in the feeling they have of anxiety. A person does need to be careful when they are using this combination. They should stay at the lower or the moderate level so they do not develop a tolerance or a dependence. A person can enjoy a good feeling and they can finally enjoy a decrease in their feelings of depression and anxiety. A person will finally be able to relax. While individuals results will vary it is recommended to mix 1000 g of the phenibut with 3 to 4 mg of kratom. I’m pretty sure you might actually die if you do this. It SHOULD be 1,000 MG (1 G) of Phenibut and 3-4 G of Kratom.